Any serious genealogical work will lead to amassing a large volume of information, some of it amenable to computerisation. 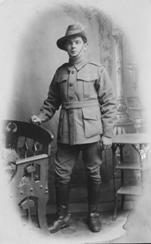 A genealogical account of the family of Daniel Walter. A genealogical account of the family of Philip Walter and Susannah Trotman. 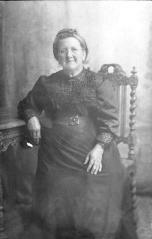 Lucy Leach (1789-1871) was born in Thorne Coffin and baptised on Christmas Day. Hugh Penny Walter and Robert Leach Walter emigrated to the USA and settled in Barber County, Kansas. Born Babcary, Somerset, died in Swansea, Glamorgan. Born and died Babcary, Somerset. Born Babcary, Somerset, died Slough, Buckinghamshire. 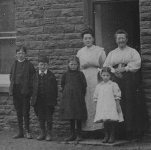 A genealogical account of the family of Gaius and Mary Adelia Walter. A genealogical account of the family of Susanna and George Philip Hayes. A genealogical account of the family of Henry Walter, Charlton Adam and Liverpool. A genealogical account of the family of Edward Jacob Walter, Babcary, Cheltenham and London. 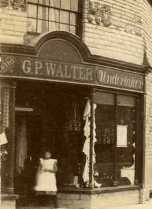 A genealogical account of the family of Jacob Walter, Charlton Adam, London and Liverpool. A genealogical account of the family of Henry and Elizabeth Horne. Born Caroline Gould, Compton, Dorsetshire. Genealogical and historical notes on William Pearse and Grace Lillicrapp.